Ballade � travers ma ville natale, ce soir. Je croise une copine. Il fait beau, je ne pense � rien, je suis heureuse. Photo prise avec mon portable, retouch�e fa�on peinture � l'huile. 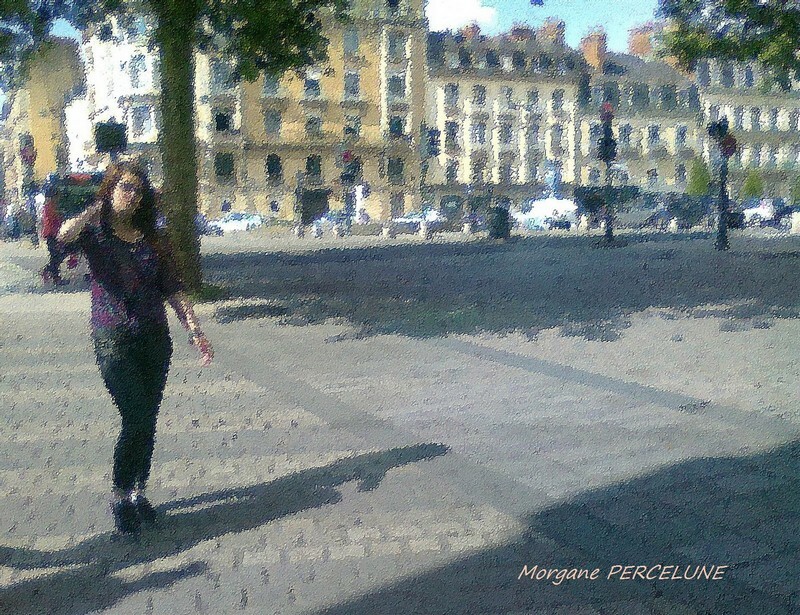 Hello Morgane! Very fine scene. Fine girl. Superb houses in the background. Sophisticated filter effect. Marvelous work. Regards! I see you like using textures in your photos, so I may have misjudged your previous entry. This photo looks fairly well composed, focussed and exposed, but it's difficult to tell with the effect you have applied. I have to admit it's not to my taste, but it seems well done.